Everyone likes Fridays......looooves Fridays, most people use their Fridays to "turn up!!!". 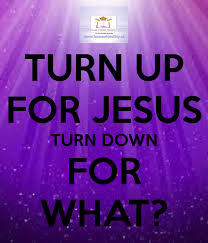 There really is no better way to turn up like the Jesus way......"why" you ask? You go for a show in a club, lets say a show by Olamide for instance and you go and 'shakiti bobo'. The show is really banging as Olamide puts up a really good show and you 'dance your life out'...you even burn a few calories because na so the dance sweet. 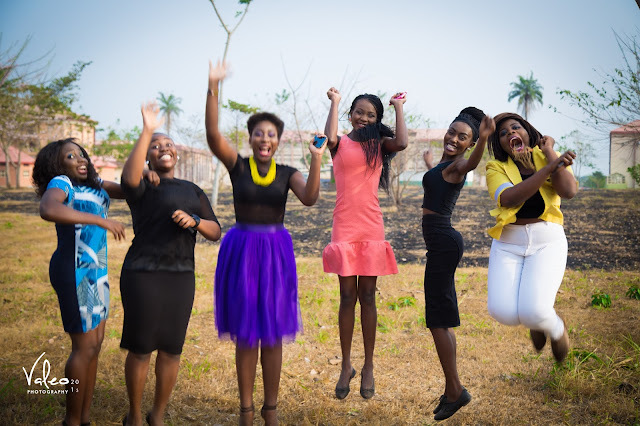 Then you go home, with wonderful memories and exciting stories to tell your friends about how you touched the hem of Olamide's garment trousers. That’s kinda the end, maybe you have the memories and err the thread you nipped off Olamide's trousers. Instead of going to a club, you decide to go for a praise night...Let's not even go that far you just get your phone out and begin to play some spirit filled praise and worship songs. You might not burn as many calories or you might if you are at a praise night. 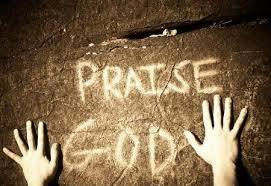 The wonderful thing about praising this awesome God of ours is that every time we sincerely praise him, he comes down. The Bible says he dwells in the praises of his people...like he literally comes down to live wherever people praise him. Now it's unimaginable what happens when God comes down... like first of all the heavens open because he is coming down...and it’s a fact that worship swells God's head and he just decides to dash people blessings anyhow because he is happy, he begins to grant heart desires and meet people at the point of their needs. You as a person gets a deeper revelation of the God you serve, your spirit is edified because the songs you are singing are words that are life giving. There is one other thing that I can’t really explain when I worship, it’s like I feel God's arms hugging me, I feel his love, his humbling presence, that either brings me to my knees or to the ground. I literally have goose bumps, it’s unexplainable in words. In the place of worship, you sow seeds that grow even into your future, and you touch Jesus, not even the hem of his garment. So in this column which would be weekly, I plan to put out songs that we can turn up to, most of them unknown, some known and many throw backs. It is my sincere prayer that this songs would lead us to the throne of grace as we listen to them in Jesus name. If you have song suggestions please write them in the comment section or send me an email. I agree kora, praise is very powerful. Be sure to check the site every friday for awesome praise songs. Great idea Gbemi! A song that came to mind is Oceans (where feet may fail) by Hillsong. Oya turn up!!! I love WAKE by Hillsong.